Traditionally, a Hackathon is a focused attempt to build or create something new - usually a working prototype for a product such as a web or mobile app - within a short amount of time. Gone are the days, however, when these events were exclusively technology focused. Companies such as Google and Facebook embed the spirit of Hackathons into their day-to-day culture and use Hackathons as a business tool, rather than just an event, by typically holding one every 6-7 weeks . Taking inspiration from Facebook, Hackbase 2017 @Paybase took place a few weeks ago and saw cross-functional teams working together on a variety of business focused projects, activities and games. 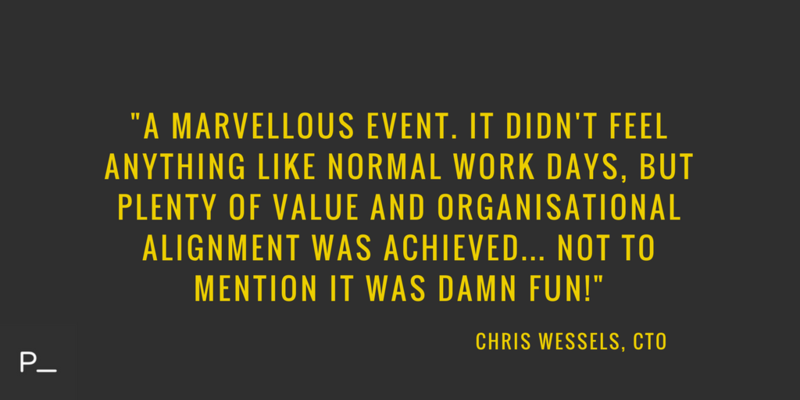 From what we learnt, we’ve put together a short guide on how to create a company-wide Hackathon that promotes team bonding and generates value for your company that you may not otherwise get during the ‘normal’ day-to-day. There is nothing like a good breakfast to set your Hackathon off on the right foot. Right from the start the atmosphere is buzzing with everyone excited about what is in store over the next two days. Everyone has a speciality, skill or even just an opinion on a topic others are unfamiliar with. This is not through lack of interest but a natural outcome of people working in different positions - people know different things. A Hackathon is the perfect platform to hear ideas that you would not otherwise hear. 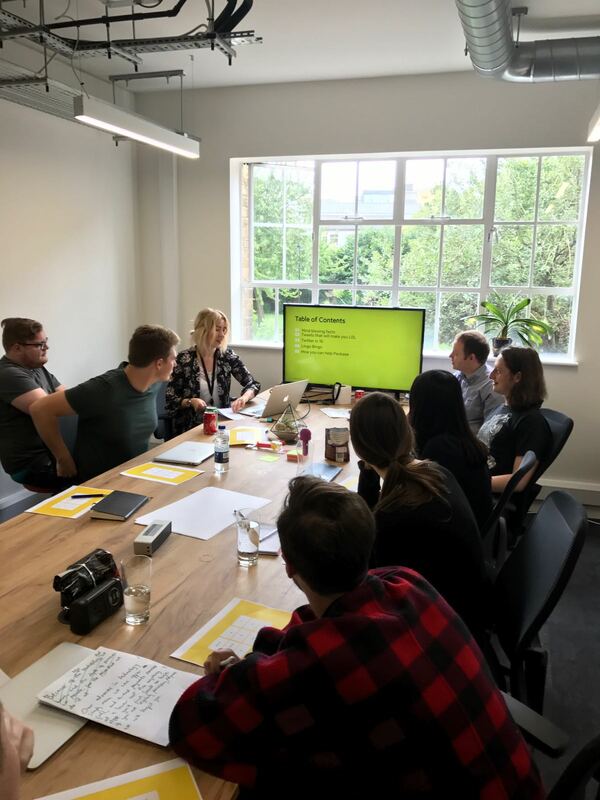 Whether you need input from other departments to help your area of work or you have something to teach others, Hackathons are an ideal chance to lead a discussion-based workshop. 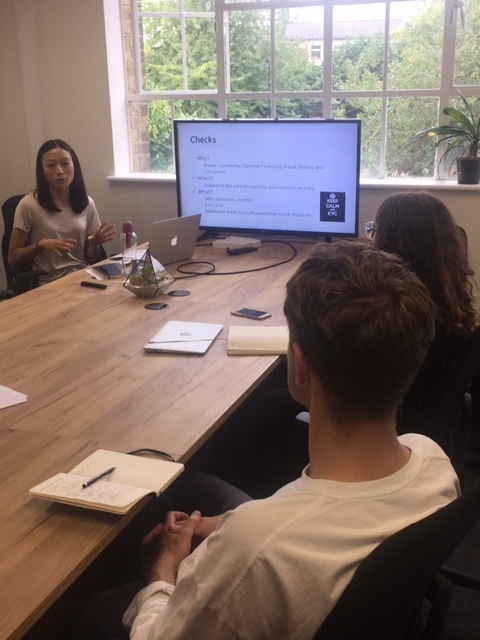 Website Positioning: A workshop focused around how to best position Paybase to appeal to our key markets: eCommerce Marketplaces, Gig/Sharing Economy platforms, Crowdfunding and Charity fundraising sites. It was very interesting to see the points of views of our colleagues, and how well they compliment each other. Ops? Ops! : A high level overview of some of the current operational projects in process and the reasons why we have these in place. This workshop offered a space to share any thoughts or ideas to help us improve current processes. "Some of the operational processes, particularly KYB and partner onboarding, are very complicated. These represent opportunities for automation!" When is the best time for this workshop? First thing in the morning when everyone is most alert? Or is this a creative ideas workshop that could be better suited over lunch? Ask yourself: is there an exercise or project I’m asking the team to produce post workshop? If yes, make sure your workshop is early on in the Hackathon to allow time for your team to complete it. The workshop itself shouldn’t be too long - under an hour is perfect. Keep the energy up! This is an important one. There may well be people from different departments with different skill sets and technical knowledge attending. Make sure that this is planned for by either being accessible to all levels or schedule separate workshops tailored towards beginners or experts! What do you want to achieve from this workshop? Educate? Inspire? Inform? Encourage a change in company culture? Whatever you are looking to achieve make sure you keep this in mind throughout. A two day event can seem like a long time. To prevent people dipping into their normal tasks you need something that they can work on in-between the workshops, activities and food. 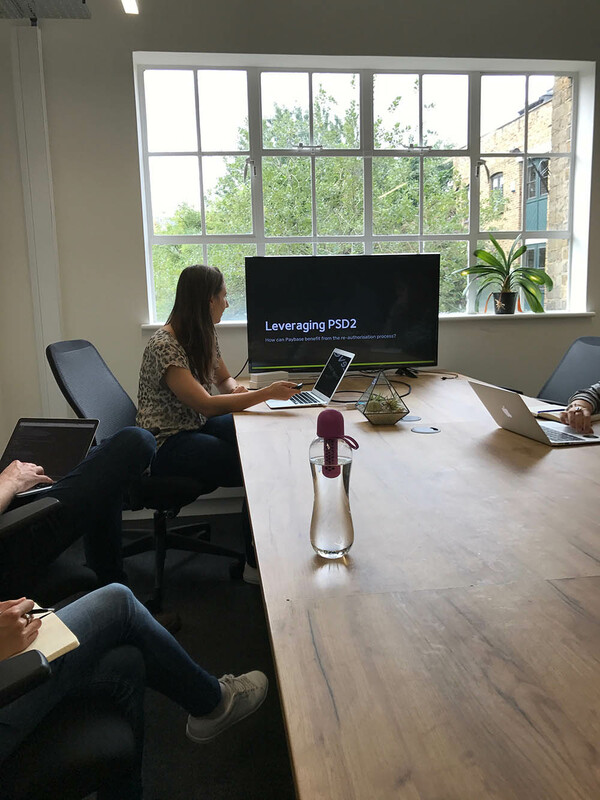 At Hackbase we ran a competition based around leveraging the PDS2 regulations which are set to open up banking services in the coming year, with our Paybase Platform in mind. 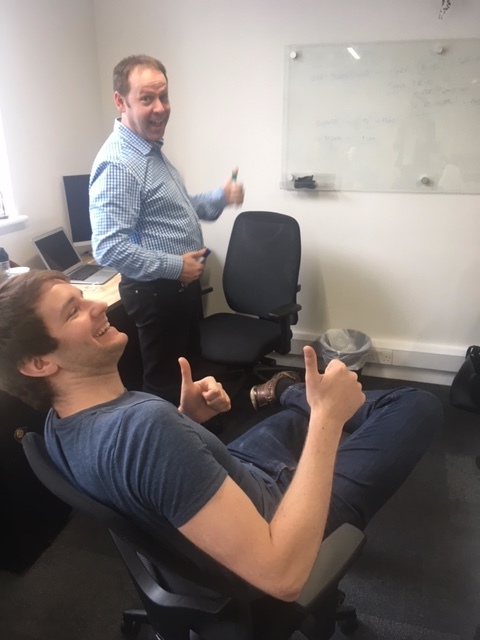 Our goal was to create business plans and pitch back to the team in the style of The Apprentice - but without anyone getting fired! Teams were purposely cross-functional to ensure that people from all departments got a chance to work with someone that they otherwise wouldn’t. We had two days to prepare our business cases, working on it whenever we had time. 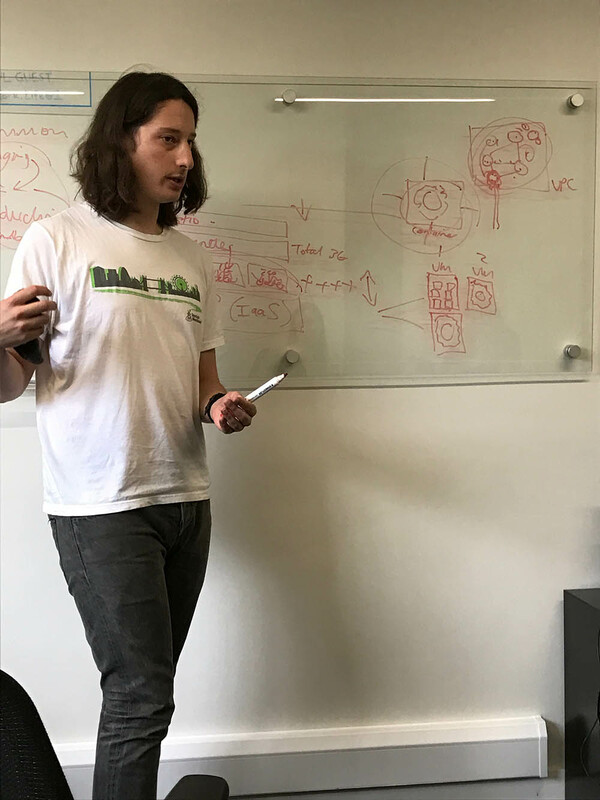 Cryptobase: A PISP aimed at Cryptocurrency exchanges that leverage our graph database in order to reduce KYC overhead. Paybase360: An internal spending and budget forecasting tool using spending predictions. Advisor: An end-to-end solution for SME customers, providing financial and business reporting as well as connecting them with the advisors they need to run their business. Loyalbase: An extension of the Paybase Platform to provide a seamless loyalty platform (for loyalty scheme operators) that functions without any merchant-side integration and irrespective of payment method. 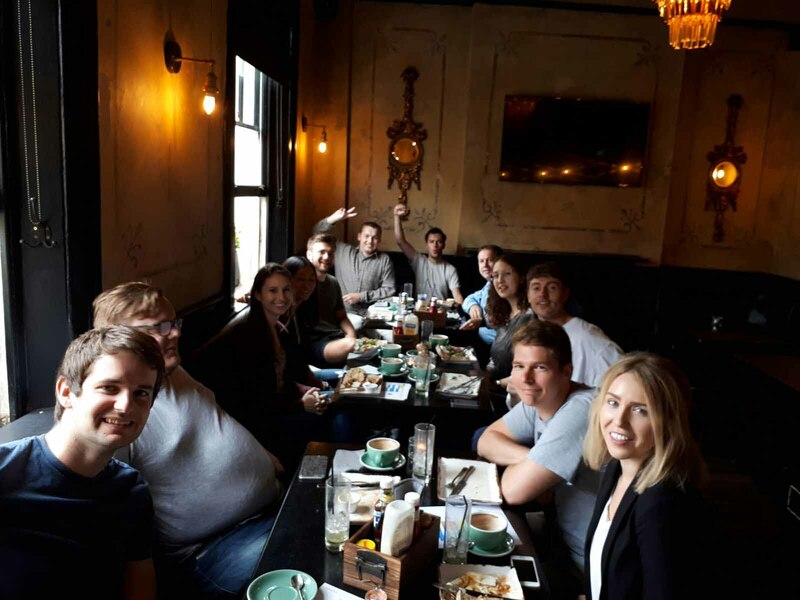 There was huge value in allowing the Paybase team completely free reign on creating ideas for leveraging PSD2 in the context of the Platform. It just goes to show the endless use cases the Paybase Platform could support! 4. Get some fresh air - with a mini sports day! Make sure you plan for lots of well earned breaks. 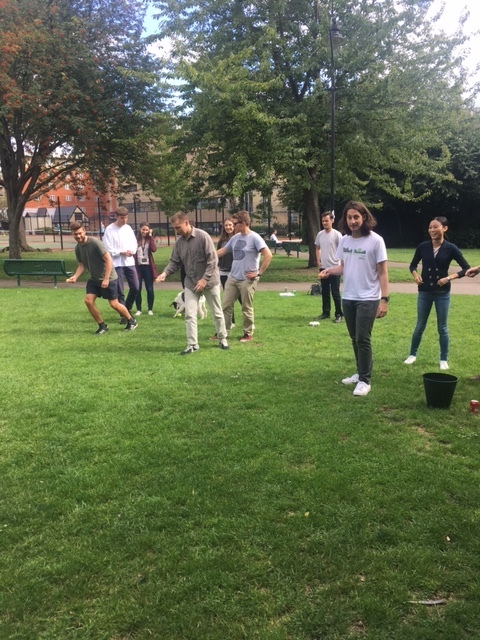 At Hackbase, the office became a hive of creative activity and empty pizza boxes which meant people welcomed a short break outside in the local park for traditional sports day games. An egg and spoon race, a hoopla and a very tense sack race finale - it certainly got the blood pumping! Lastly, don’t forget about the closing ceremony to wrap up your event in style. As we rolled into Friday night, we gathered for the closing ceremony. It kicked off with the Apprentbase Challenge pitches. Awards were given out for Best Idea, Most Realistic Idea and Best Pitch. 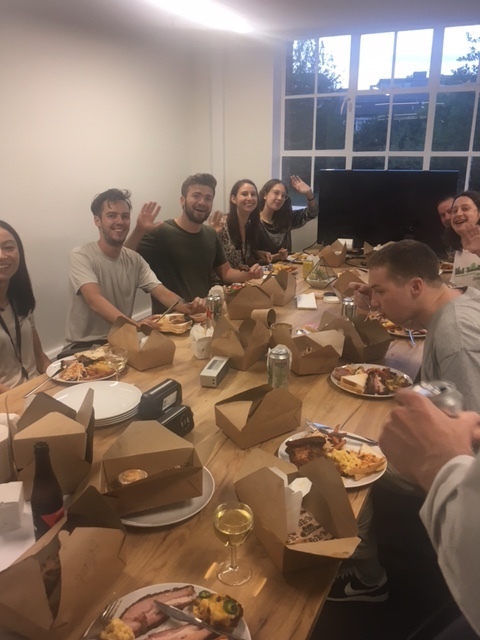 After the ‘shout outs’ to the people that made Hackbase possible (Dan Whale, especially), the team reflected over the two day event with a few well deserved beers and dishes from Texas Joe’s. All in all, the non-tech side of the Hackathon was a huge success. It was great to see employees showing such an interest in what different departments do and use their own expertise to come together in a collaborative project. 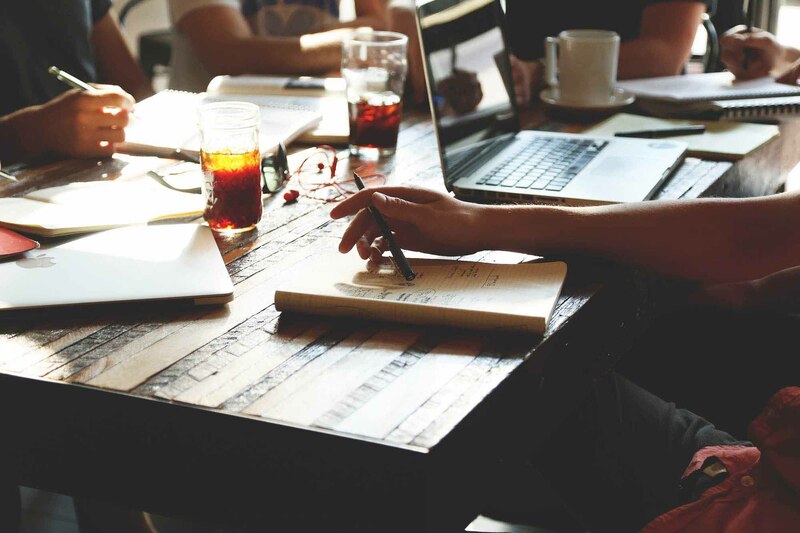 So, if you are planning a company-wide Hackathon, have a schedule planned - filled with business related projects, team building activities and inspired cross- functional team competitions. Make sure there are plenty of breaks and delicious food to fuel your team, but most importantly remember to have fun!